Lush have launched a brand new concept of jelly face masks, yes – actual squishy jelly that goes on your face! I have to say I was a bit sceptical at first, nonetheless I was really excited to give them a go. There are five products in the range that target different skincare concerns. 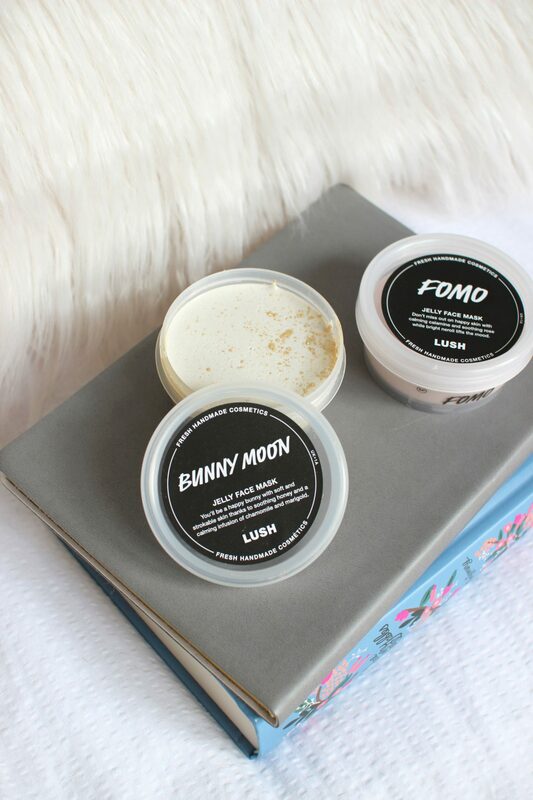 Bunny Moon is great for soothing sensitive skin types, FOMO helps to neutralise redness and calm the skin, while The Birth of Venus is great for oily skin and balancing. 1000 Millihelens is ideal for problematic skin and breakouts. And last, but by no means least, Just To Clarify is amazing for gently exfoliating and brightening the skin. They are self preserving and they last up to four months. This is great compared to their fresh face masks which only last up to three weeks and, instead of being self preserving, you have to keep them in the fridge. But don’t get me wrong, I think the fresh face masks are incredible. I was a big fan of Love Lettuce but they sadly discontinued it. 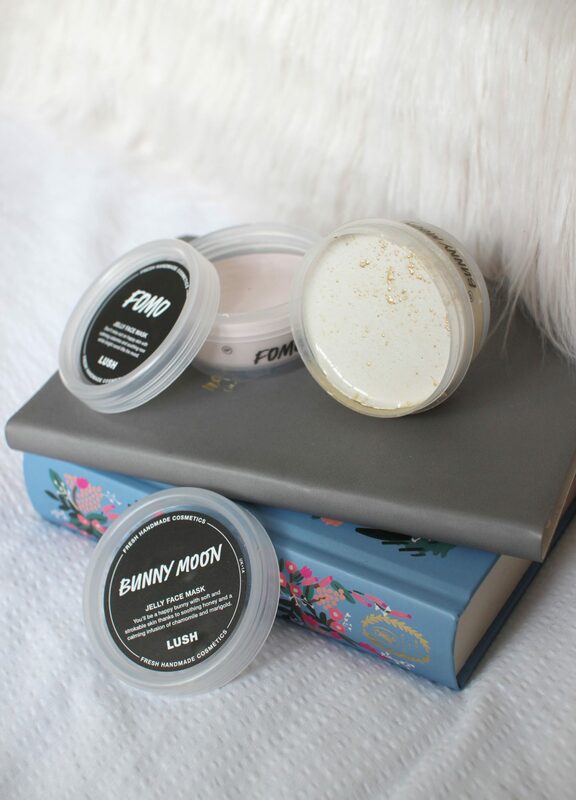 Any who, I picked up Bunny Moon and FOMO and put them to the test. Do they actually work or are they just a gimmick? Myself, my husband and my mother in law were having a bit of a pamper day, so we trialled Bunny Moon. This smells incredible. If you like honey, chamomile and rose scents, this will be right up your street. Honey is an amazing antiseptic and is super moisturising, while the rose oil, chamomile and marigold help to soothe and balance the skin. To apply, pinch a little bit of the jelly and rub it into your palm to create a smooth paste consistency, then apply to your face. It can become quite gloopy, a little messy and there was quite a lot of product left over. Although it’s a bit wasteful, it’s fun and weirdly calming to mix together. You can leave the masks on for up to ten minutes, during that time it will harden a teeny bit. Once I rinsed it off with warm water and a muslin cloth, my skin felt tighter, squeaky clean and soft. My mother in law said that her skin felt more even, firmer and it glowed. Joe agreed that his skin felt much more even, softer and tighter too. 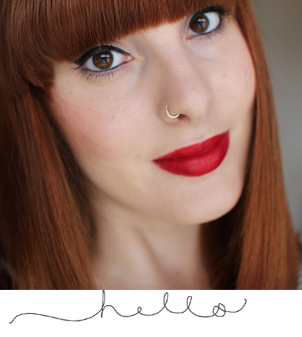 FOMO (Fear of missing out) – adore the name of this! There will be no fear of missing out on great skin with this little beauty. A great gentle soothing and balancing face mask created with calamine powder, rose absolute and a touch of neroli. I really love the smell of this one, a gorgeous rosy calamine uplifting scent which instantly calms me. 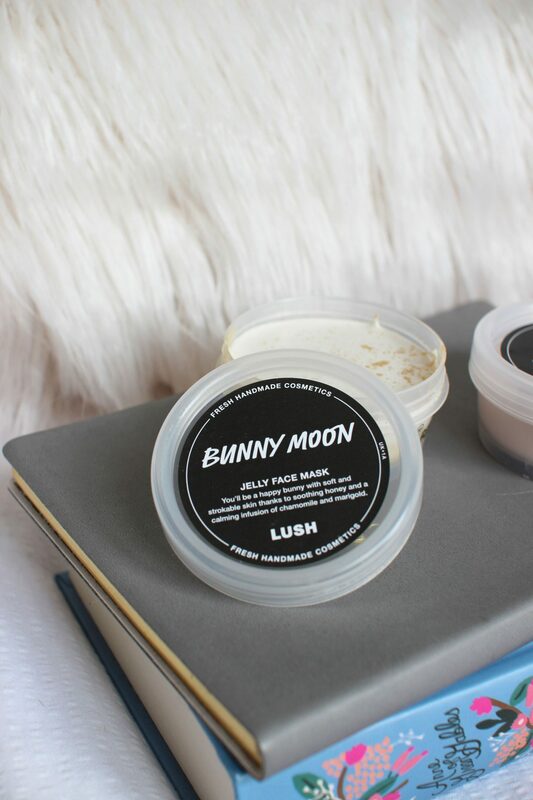 Likewise to Bunny Moon, my skin felt baby skin soft, tighter and looked a lot more calm after one use (My husband is currently loling at me because I keep touching my face and then typing away… I’m glad he see’s the funny side to my beauty reviewing techniques). The second time using it, I did notice a slight tacky residue left on my face after removing it with warm water and a muslin cloth, but I think that’s down to me not washing it all off properly. Overall, I am pleasantly surprised with the results and for £6.95 a pop they are a bit of a bargain as they can last up to four months. A little really does go a long way as you should be able to get at least 10 face masks out of one tub. I think I may have converted my mother in law into these too. Who doesn’t want baby soft, tighter, firmer, glowy skin in an instant? In hindsight, I do wish I mixed it up a bit and trialled Birth of Venus, 1000 Millihelens or Just To Clarify as Bunny Moon and FOMO are very similar in terms of results. None the less, they are both as good as one another for achieving calm, tighter, baby soft skin and who doesn’t want that? Have you tried Lush’s jelly face masks?